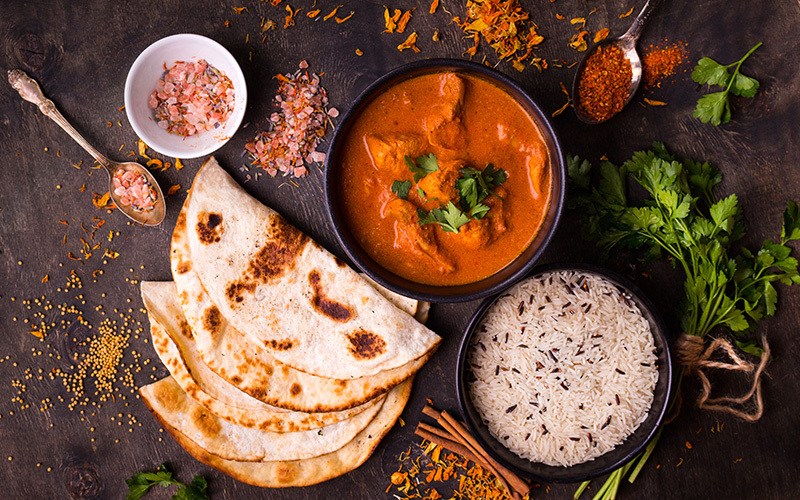 The popular Dubai sports venue, Spike Bar recently launched a Tuesday curry club. For just AED 100 diners can tuck into a starter, main course and one house beverage, from 12pm-1.30am. The menu is created by the well-known British-Indian chef, Hari Ghotra. Starters include ‘bondas’ (an Indian take on potato croquettes), ‘squid pakoras’ (a lightly fried seafood dish served with spring onions, and fennel butter) and ‘Indian’ scampi served with masala chips. For main course, diners can enjoy a range of curry dishes, including dhal makani (a lentil based dish), lamb and chicken kormas, and a kale and chickpea curry for vegetarians. There’s also a range of sides to pick from, including paneer makhana (cottage cheese with a creamy tomato butter sauce). For those wanting to catch up on their favourite sports teams, there’s also 16 indoor screens and a three-metre outdoor screen showing all the latest games. Details: 12pm-1.30am every Tuesday. Spike Bar, Emirates Golf Club, Near Nakheel Metro, Dubai. For more information or to reserve a table call +971 4 417 9999, email spike@dubaigolf.com or visit Spike Bar. If you enjoyed this story, you may like this article on three new foodie deals in Dubai. Next PostNext &RightArrow; Dubai restaurant week 2018 is back!